HTC is making it easier for you to buy a Vive. The company just rolled out three new bundles for the virtual reality headset that include PCs and graphics cards for the first time. If you already have a decent rig but need a new graphics card, you can now get the Vive and the Nvidia GeForce GTX 1070 Founders Edition for $999.99. That's $200 cheaper than the suggested retail price, HTC says. You can also finance the bundle for as low as $49 per month for 24 months (estimated shipping plus tax), but these are temporary offers that run through April 24th. The second bundle is a Vive and a MSI VR Ready laptop for $125 per month. The laptop includes an Intel i7 Quad-Core processor, a GTX 1060 6GB GDDR5 graphics card, 16GB DDR4 RAM and a 256GB solid state hard drive. 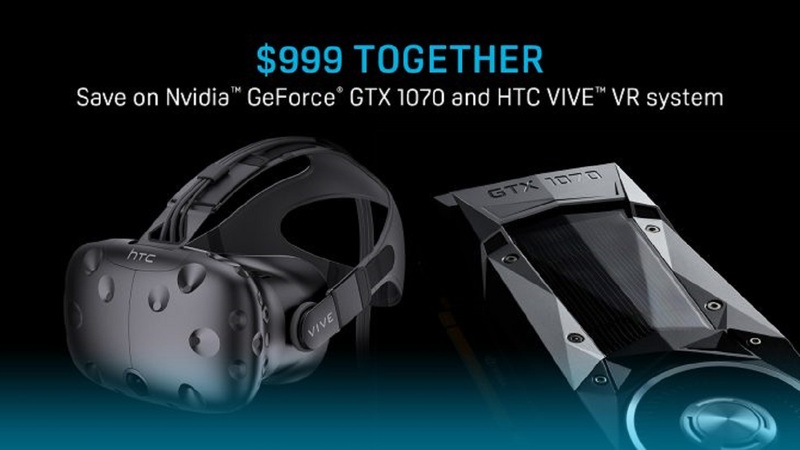 And, lastly, HTC is offering a desktop bundle, pairing the Vive with the Cyberpower GXi970 for "less than" $99 per month, but the exact cost isn't listed just yet. Its specs include an Intel i5 Quad-Core processor, an Intel B250 Chipset, 8GB DDR4 RAM, a 2TB hard drive and a GTX 1070 8GB video card. HTC's Vive Financing Program currently has three options: zero percent financing for six months and 12 months, or 7.99 percent financing for 24 months. It's likely offering the same options for the new bundles, but the details aren't all available on HTC's site yet. Obviously, the less time you take to pay something off the better. The 24-month option won't really save you any money in the long run. These bundles probably aren't the most cost-effective options out there -- an ambitious person could likely build their own rig for less. But, they could be a convenient option for less hardware savvy people looking for an easy way into the world of VR. Point-and-shoot cameras have had a bad rep lately, since they're neither as convenient as a smartphone nor as powerful as a mirrorless cam or DSLR. However, there are a few areas where they still excel: they can include ridiculously long-zoom lenses in small bodies, and take selfies that would be difficult or impossible to manage on your phone. And Panasonic, at least, is determined to make the most of those advantages. The company has just introduced the Lumix ZS70, a successor to the ZS60 that crams more into its compact frame. It now has a 20.3-megapixel sensor (up from 18MP), an even longer-ranged 24-720mm equivalent lens, and -- most importantly -- a flip-out 3-inch touchscreen. If you've ever wanted to take a high-quality selfie (including a new 4K mode) without sacrificing your ability to shoot far-off subjects, you might want to consider this model. Otherwise, you're looking at some fairly familiar hardware... not that this is entirely a bad thing. It can still shoot 4K video at 30 frames per second, and take 8MP photos at a similar speed. You'll also find RAW capture, a very fast autofocus that promises a lock-on in about 0.1 seconds, and a slew of modern camera tricks such as after-shot focus selection, a beauty mode and creative filters. WiFi helps you share photos to your phone for those all-important Instagram posts. As is often the case with super-zoom cameras, you'll be paying a fair amount. 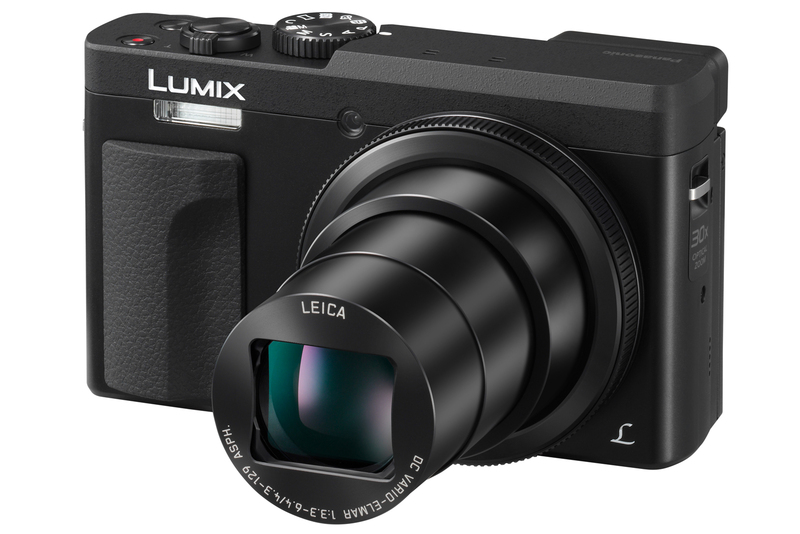 Panasonic will ask $450 when the ZS70 arrives at the end of May. That's competitive for the class, but consider this: Canon's upcoming PowerShot SX730 HS will offer a similarly sharp sensor, 40x zoom and a swiveling LCD for $50 less. And if you're more interested in image quality than distance, you could spring for either the PowerShot G9 X Mark II or an older camera like Sony's original RX100. You might be happy with the ZS70 -- just know that it's not the only game in town.